Following the widely praised Given, this new collection offers a masterful blend of epigrams, elegies, lyrics, and letters, with the occasional short love poem. Alternately amused, outraged, and resigned, Berry's welcome voice is the constant in this varied mix. 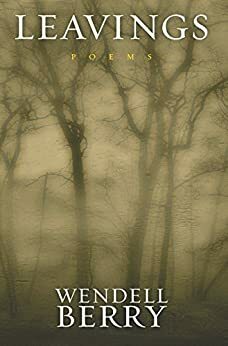 The book concludes with a new sequence of Sabbath poems, works that have spawned from Berry's Sunday morning walks of meditation and observation. Berry's themes are reflections of his life: friends, family, the farm, the nature around us as well as within. He speaks strongly for himself and sometimes for the lost heart of the country. As he has borne witness to the world for eight decades, what he offers us now in this collection of poems is of incomparable value. 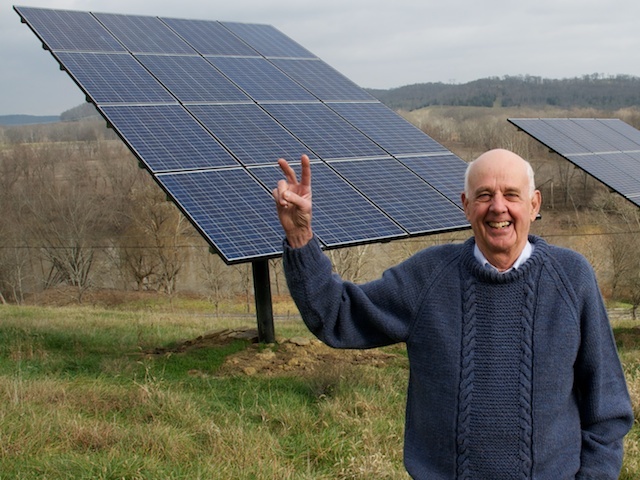 I have been reading (and re-reading) Wendell Berry's work for quite a while now. That means I've heard many of the words and seen many of the ideas before. But these poems are new, encountered for the first time like today's bracing walk in a familiar woods I've visited many times. The woods and the friends with whom we walk, like the day itself, are the same as they've always been but also different on this day. In that sense these poems are very gratefully received; it is, after all, November and there are too few such walks left to me ...and to you. Do yourself a favor. Get the book and spend time with it out of doors while the leaves are still falling, or indoors by the fire in the depths of winter. Author, poet and essayist Wendell Berry has been known for talking walks on Sunday mornings, walks that he uses for both observation and meditation. Most of "Leavings: Poems" is a kind of historical record of those walks, poems that observe, poems that are a meditation, and sometimes poems that are both. as known to Shakespeare, as known to Milton. This "low and effective cunning" is what sees geography as a commercial asset, an asset to be made over, industrialized and changed forever. While it is not a demand for a "return to pure nature" - that is not what Berry argues here - but it is a romantic notion, to be sure, one grounded in Berry's Christian faith, one that sees people intimately connected to the land. And then the tone changes, and Berry describes crossing a stream, but still in the same reverent terms. From "The Book of Camp Branch:"
He's describing a kind of poetry of nature, with the flow of water moving stone to stone, the walker following behind the flow, and the flow creating a new place for the walk to stand. Berry's writing is a collective whole, or perhaps holistically collective. Whether it his novels, short stories, articles, essays or poems, the same themes course throughout - themes about the land, about people and they become part of the land, the modern loss of connection to that land, and a hope for something better. He rages against the forces, "industrial humanity, an alien species," whom he sees as agents of destruction, not least for the fact that they don't know "one big story, of the world and the world's end...They know names and little stories" (Sabbaths 2007 V). These meditations and observations are the themes and philosophy that we know as the Wendell Berry trademark - the land, the geography of the heart, upon which he has staked a literary and moral claim. "Leavings" is plainly spoken, lovingly rendered, and unmoving in its insistence for a better way. Wendell Berry is my only contact with poetry these days. But he is a powerful one. "Leavings" alarms me because it suggests that Mr. Berry's work is over. I certainly hope not. It is a good thing the dead don't eat much, for our family dinners took place during the 1930's and 1940's when the supply of food was greatly curtailed. But family members who had gone on before us were there, adventure by adventure as we ate and remembered. I was the youngest and I remembered those stories and from them I wrote most of my ten books. Wendell understood that timeless American custom of remembering the past and using those memories to nudge young people into the right direction. I must recommend this book of common-sense, hard-hitting poems. It is a treasure.